Tania Michele: Orlando Holiday Diary: Day 4 - Magic Kingdom! Ahh the day we were waiting for! 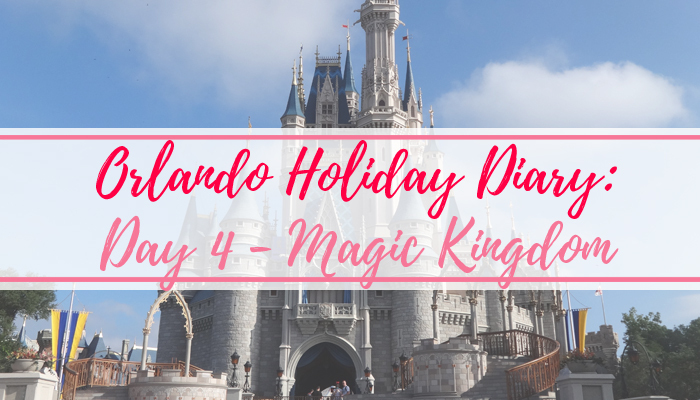 As we were on a 17 day holiday, but the Disney tickets are only 14 days, we had to pick any Disney parks a few days into the holiday. We actually all slept okay the night before, so we were up and ready for Magic Kingdom pretty early! We elected to take the Ferryboat, instead of the Monorail, and it was a good choice as there was only the three of us, and about five others on the boat that morning. Granted the Monorail leaves and arrives a little quicker than the boat, but the journey times are the same length - plus this was we got to see the castle from a distance and get some good pictures of it. We picked up a 'First Time' badge for my Dad and Sister, and I picked up a 'Happy Birthday' badge, as it was BIRTHDAY WEEK! We managed to get on a lot of rides within the first hour of park opening. 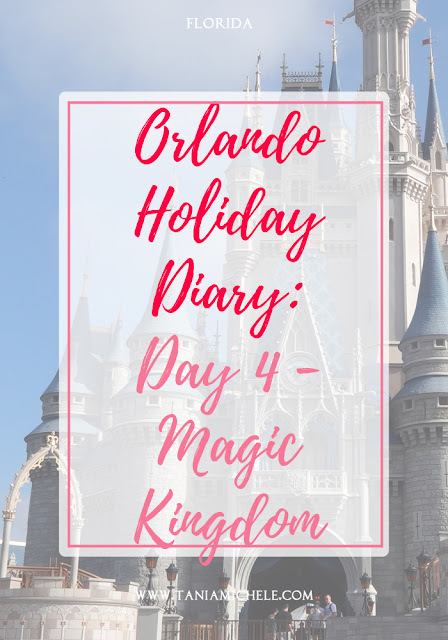 We ate at the Starlight Cafe in Tomorrowland, and then headed to the other parts of the park, before catching some of the Festival of Fantasy parade in Adventureland!